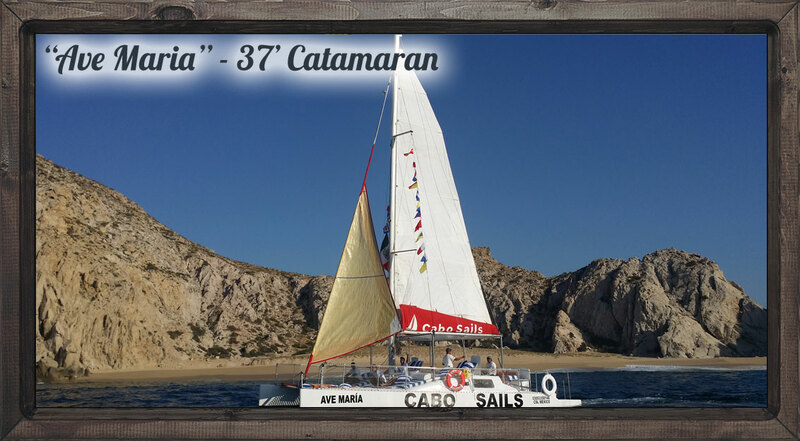 Ave Maria is a beautiful, roomy and very comfortable 37′ Phaeton catamaran. 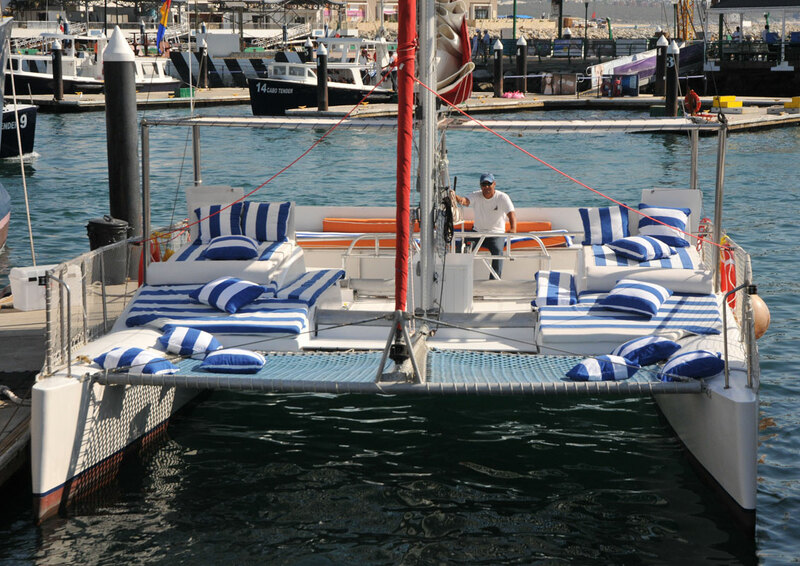 Built in France, the catamaran has a cushioned spacious deck for ultimate comfort and relaxation. 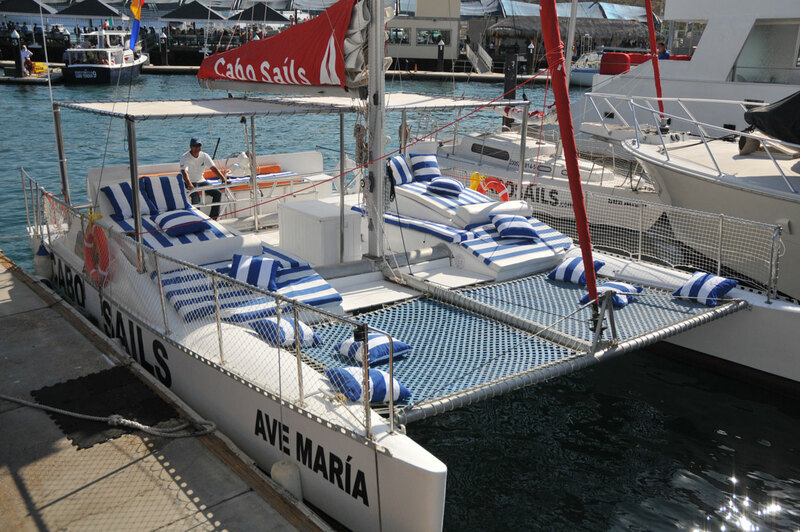 Ave Maria is our roomiest boat and the fully-cushioned deck offers sunny and shaded areas for between 2 and 20 guests. All our tours are 3 hours with the exception of the sunset which is 2.5 hours. Snorkeling equipment is included for sailing, snorkeling and whale watching tours. Snorkeling is best for the morning and early afternoon departures due to better lighting and visibility however if you would like to snorkel prior to the sunset you are welcome to do so. 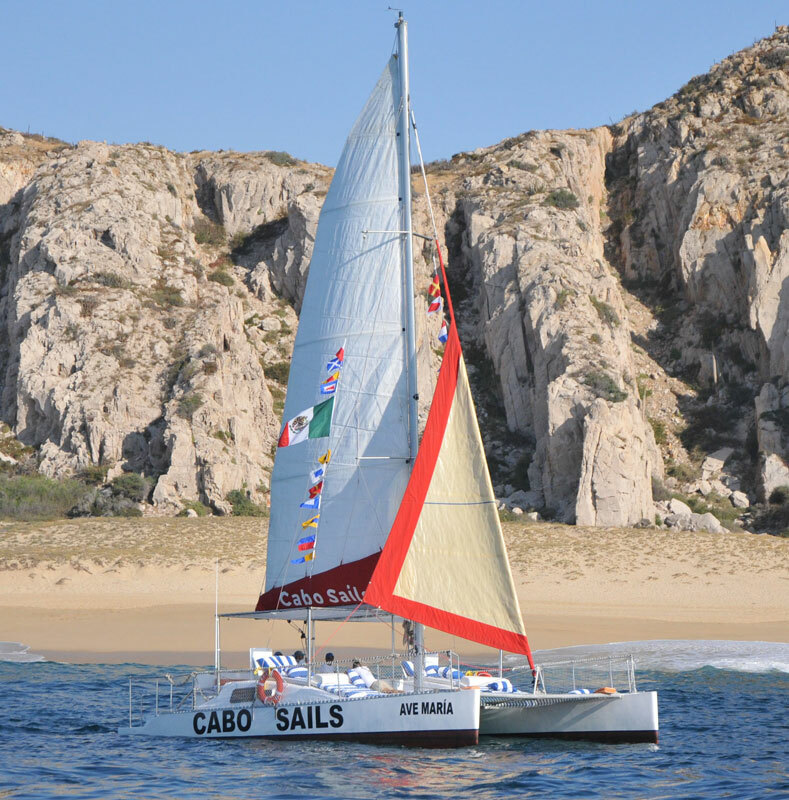 For sailing and snorkeling tours, Cabo Sails includes up to 2 paddle boards with the 37’ Ave Maria catamaran UPON REQUEST ONLY for no additional cost. Paddle board availability is subject to weather conditions. 9:00 AM departures only between April 1st and October 27th based on availability. • You may pay the remaining balance the day of your tour with dollars, pesos, Visa or MasterCard. We do not accept American Express. Credit card payments for the remaining balance have an additional 5% bank service fee.